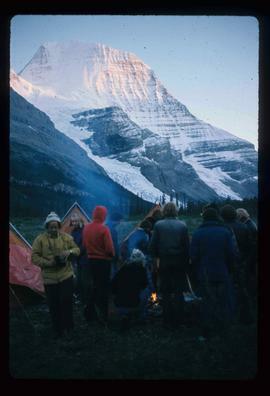 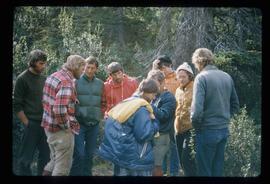 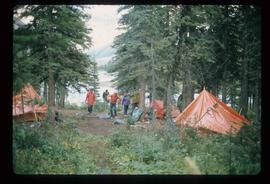 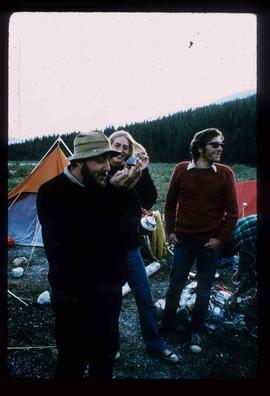 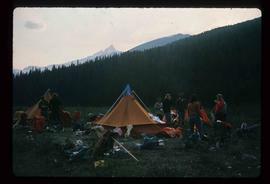 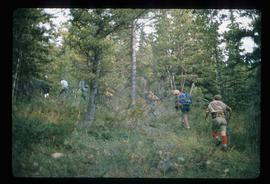 Image depicts group of people at a camp somewhere in Mt. 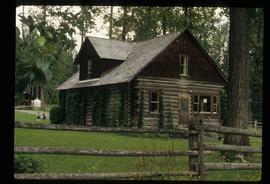 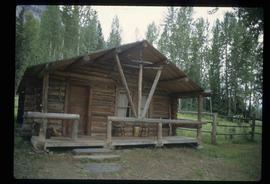 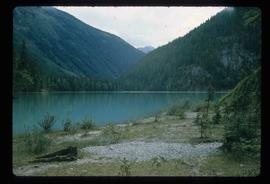 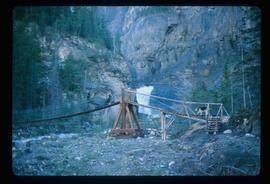 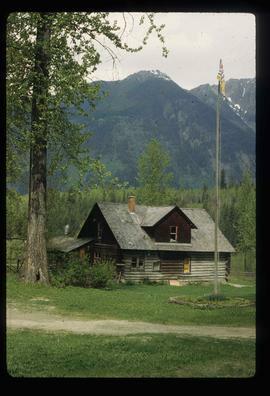 Robson Provincial Park. 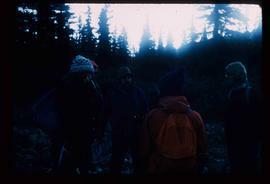 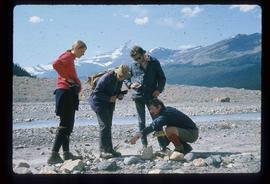 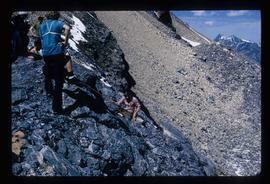 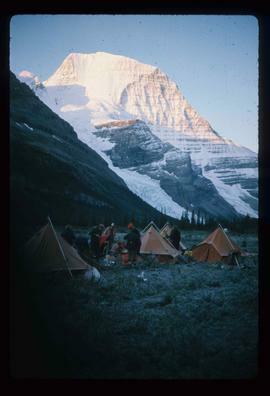 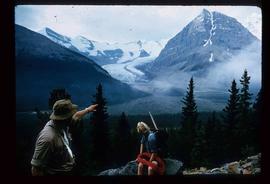 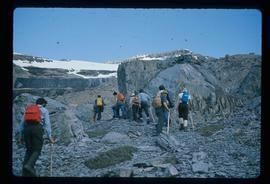 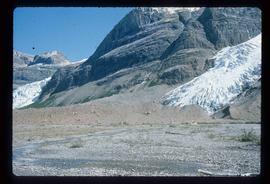 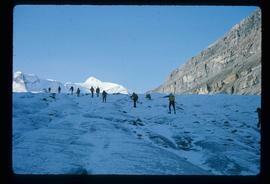 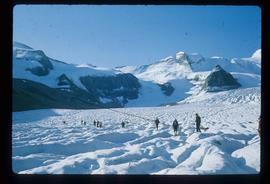 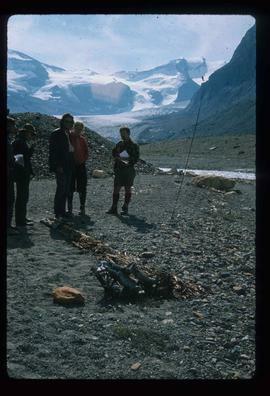 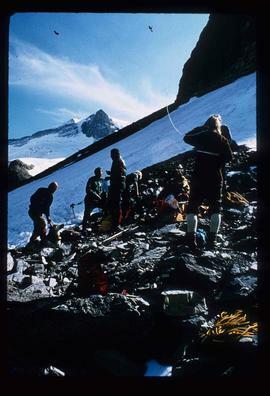 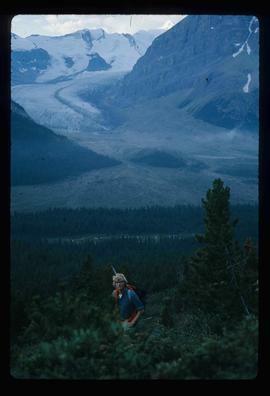 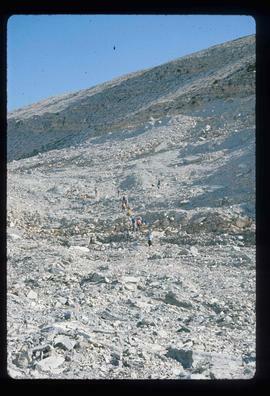 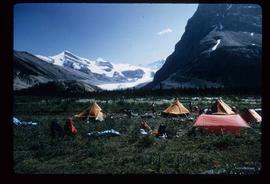 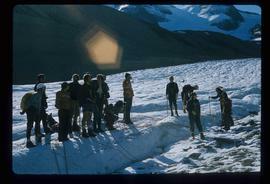 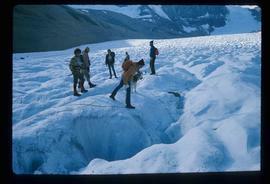 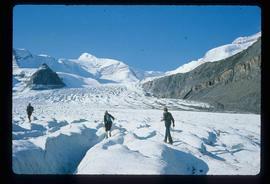 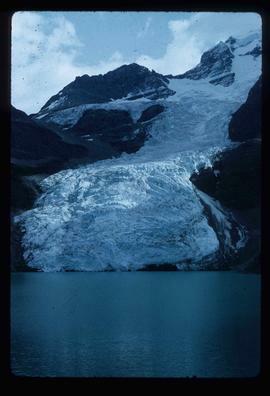 Image depicts a group of people hiking up a glacier, possibly the Robson Glacier. 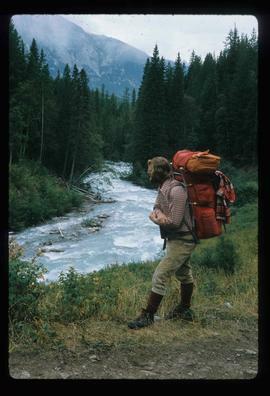 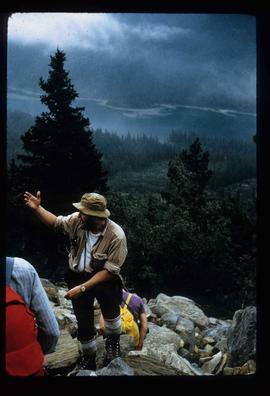 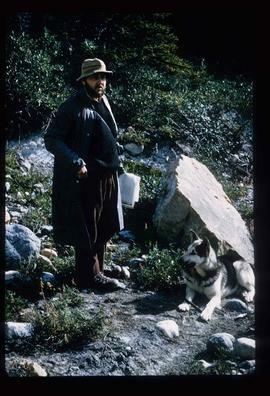 Image depicts Kent Sedgwick with a dog at his feet, somewhere in Mt. 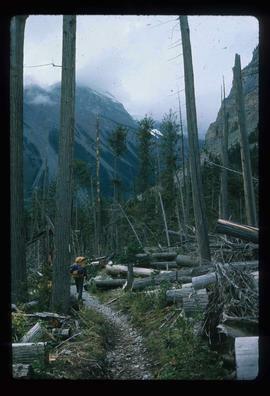 Robson Provincial Park. 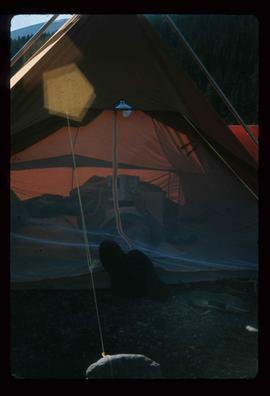 Image depicts an unknown individual reading inside a tent somewhere in Mt. 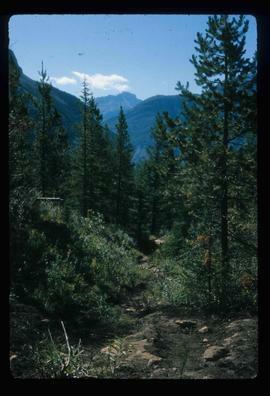 Robson Provincial Park. 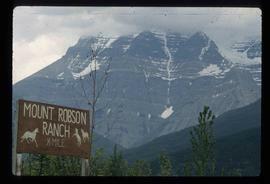 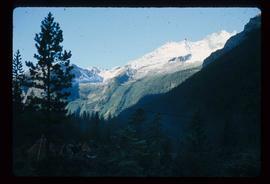 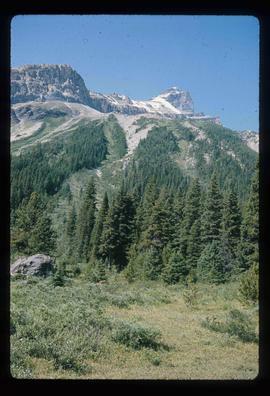 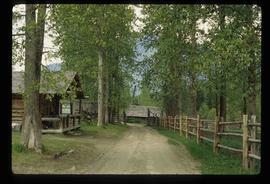 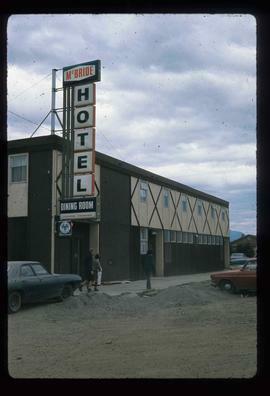 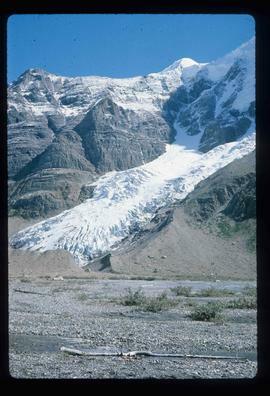 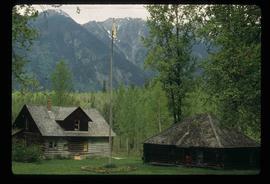 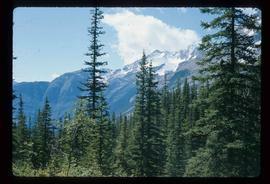 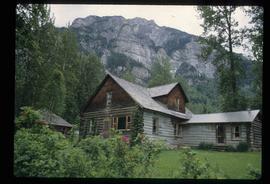 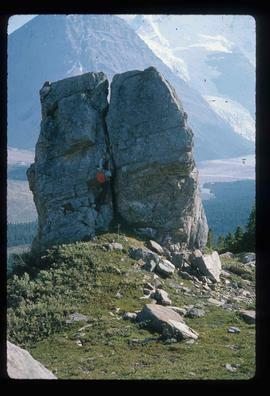 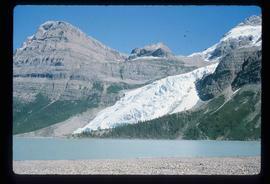 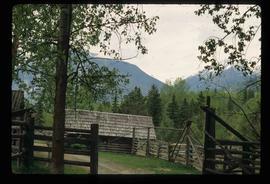 Image depicts Mount Robson while en route to Mount Robson Ranch in B.C.